“Baa, Baa, black sheep, have you any wool? Yes, sir, yes, sir, three bags full. One for the master, and one for the dame, and one for the little boy who lived down the lane.” I can still hear my grandmother singing this Mother Goose nursery rhyme to me when I was little. May 1st is the day we celebrate Mother Goose. Did you know that Mother Goose was probably more than one person? There are many rumors about who “she” might have been, like Queen Bertha of France who had one foot larger than the other and tended to waddle like a goose. However it’s more likely the rhymes and fairy tales were written by numerous authors, both men and women. The first published Mother Goose nursery rhymes appeared in England in 1781, but they were passed around for hundreds of years by word of mouth. The library has a whole series of Mother Goose rhymes for you to enjoy. 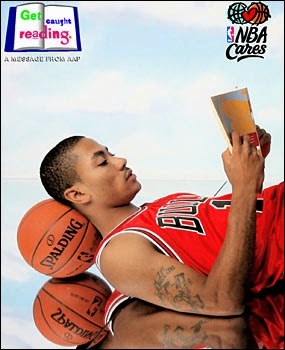 May is also Get Caught Reading month, a nationwide campaign to remind people of all ages how much fun it is to read. Reading Mother Goose rhymes as well as books and magazines actually stimulates a child’s brain to grow. Reading to children gives them a huge advantage when they start school. I know I always like my brain stimulated with a good book! You can take advantage of our wonderful Youth Services librarians and be part of their story times during the summer. Check out our library calendar for days and times. There are so many materials to “Get Caught Reading” at the library. You might catch me reading a new 2016 Monarch, Bluestem or Caudill nominee. Plus we have so many cool animal books and biographies about famous people. There are a ton of amazing books to read in Youth Services, sometimes I just want to curl up in a comfy chair and read the day away! I’d love to catch you reading in the library!